2) Get an extra entry for liking The Beauty of Life and SkinCeuticals on Facebook and leaving a comment on The Beauty of Life's wall telling me why your skin needs this serum. You must like both of us to have this entry count. If you're already a Facebook fan of mine, be sure to leave this comment on the wall for your extra entry! 3) Get an extra entry for following both me and SkinCeuticals on Twitter and tweeting at both of us to tell us why your skin needs this serum. Be sure you are following both of us and include both of us in your tweet or your entry will be disqualified. This giveaway ends on Saturday, August 20 at midnight. Two winners will be chosen AT RANDOM on Sunday, August 21. Maximum of THREE ENTRIES (one for each way listed above). Multiple entries will be disqualified. Giveaway is open to US residents only. Sounds like a great product. I would love to win it! Thanks for the another great giveaway! I have alot about how good the skinceuticals line is so I would love to see for myself! Nice givaway! Always wanted to try SkinCeuticals products. I have extremely dry skin a Hydrating Gel would definitely help. Im a fb fan of yours & SkinCeuticals, also follow u & SC on twitter too. Jdavis7408@yahoo.com thanks! I can't wait to try on this serum. Thanks for this giveaway! I follow you and SkinCeuticals on facebook and twitter and left messages on both. Please put my name in the hat for this giveaway. I'll be 41 at the end of the year and I need a great serum and SkinCeuticals looks like it will help my aging skin. I've heard great things about using B5 on the skin. I hope I win. After reading your review I added this to my wish list so I'd love to win it! It been awhile since a commented on here and I do not see my post so please forgive me if I am a duplicate. Im a married and very busy 26 year old mommy of 4. I would love to win this product to help bring back some life in my skin. Thank you very much for this offer. My skin needs this product, would love the opportunity to try it. I'm a serum fanatic, too, but I haven't tried this one and would LOVE to! Thanks for the chance! Sounds great, my wife would love it. I'd really like to try this - I'm 50 and look it. I would love to try this serum after reading your review!! This could make a huge difference to my skin! Sounds like a superb product and would love to try it! I read your review - softer, smoother, firmer with two drops a day!! I never use serum but this sounds like a must have! I would be so thrilled to win. Especially after reading your review, I think this is just what my skin needs! My skin could use the extra TLC. Would love to try it. Thanks for the chance. i love the beauty of life! Who wouldn't love more hydration? If I win, I'll be sure to tell all my girlfriends about this awesome product! This would be and awesome win. I would love to try this serum for my skin. Thank you so much for all of the giveaways. 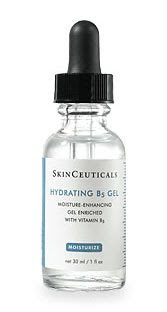 I need the SkinCeuticals Hydrating B5 Gel for the constant change of seasons my skin goes through! love to win this product. good luck everyone! I would love to try this serum - I'm getting older and living in Houston with severe humidity wreaks havoc on my skin! I've read so many great reviews about this product. I've never tried it. I love serums too. I'm oily and they just work better on my skin. Thanks! would love to try this for my aging skin since I just turned 42. This would be great for my skin. Awesome! Would love to give this a try! I've never tried a serum before; it would be fun to experiment. Thanks! sounds like an amazing serum! Thanks for hosting this giveaway!! Read your review on this. Sounds great, especially for the upcoming winter! I could really put this to the test! Left a comment over on the wall as Lynn Brooks. Thanks again, Jamie! I'd love to win this! I've been wanting to try SkinCeuticals forever! I would love this serum - yes to bring back soft skin and hydration!! Great review! Thanks for the chance! I would love to win this. Thanks for the great giveaway. I just realized I didn't leave my e-mail in my previous comment. Hope this one counts! yes please! My skin needs help. This sounds like it would be great for my skin! I would love to try the product. My sister showed me the blog & giveaway. I'd love to try skinceuticals. I'm in my 30s now andhave dry skin and some sun exposure when young! Thank you. ace.kittyhawk at gmaildotcom. that product looks awesome! My skin would <3 it! I'd sure give this product a try! Really could use this for my skin! Sounds like a great product Thank you great giveaway!